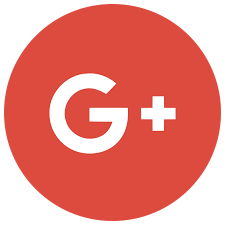 We have a friendly, experienced team to provide your with an adventurous, yet enjoyable and relaxing time. 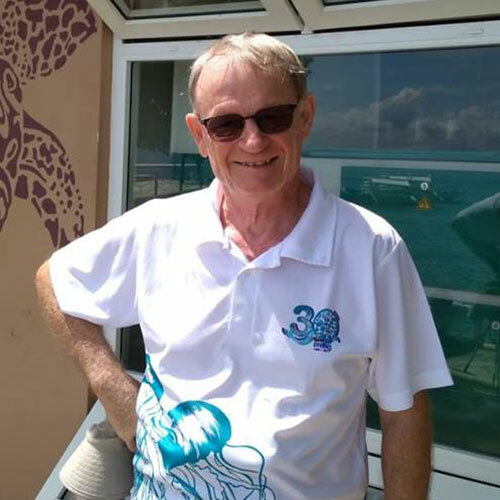 Allan, originally from Australia, spent several years in Hong Kong in the construction business before discovering Puerto Galera in 1985. 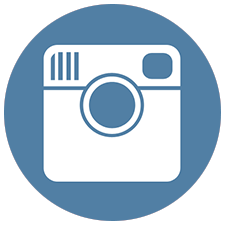 The founding partner of Asia Divers and El Galleon Resort, Allan has one son Arthur. Allan’s other interests include Ultra-Light aircraft and golf. 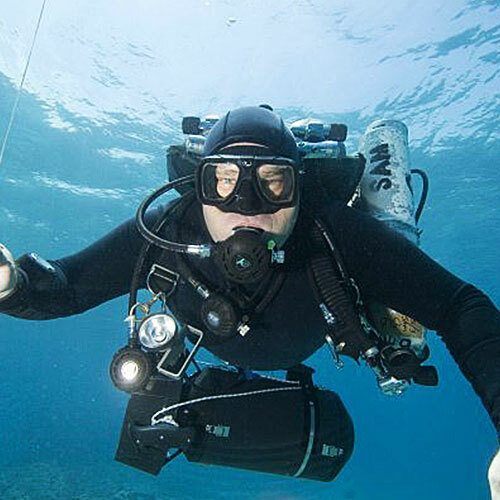 Asia Divers’ third partner is Swedish Tommy Soderstrom who started as a Divemaster in 1988. Tommy is married to Lina and has a daughter and son. His passions include motor biking and ‘hash running’, when he’s not exploring new dive destinations. Allison escaped the icy cold Canadian waters and has been in the Philippines for the last 23 years. Originally, an Art Director/Graphic Designer in Toronto, she moved to Manila and worked for the Canadian Embassy before heading to Puerto Galera. She’s been with Asia Divers since 1997 and loves taking her camera out for a spin to look for all the weird and wonderful macro creatures. 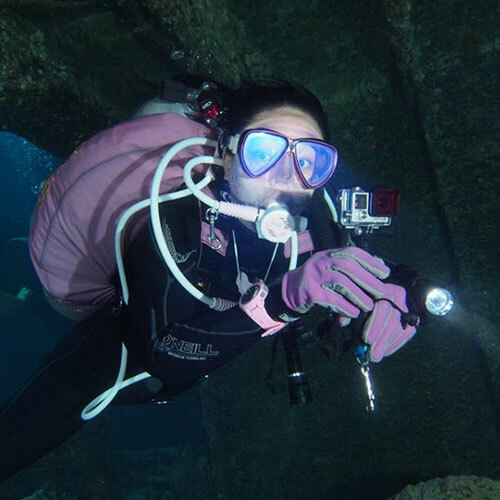 With over 11,000 dives in the local area, she knows all the dive sites intimately! Besides diving, she is responsible for the Monday Newsletter, and also leads marketing for the company. Allison is kept busy in her spare time with her twelve year old daughter, Ariana. Born in London in 1964. Dave is a Geologist by education. 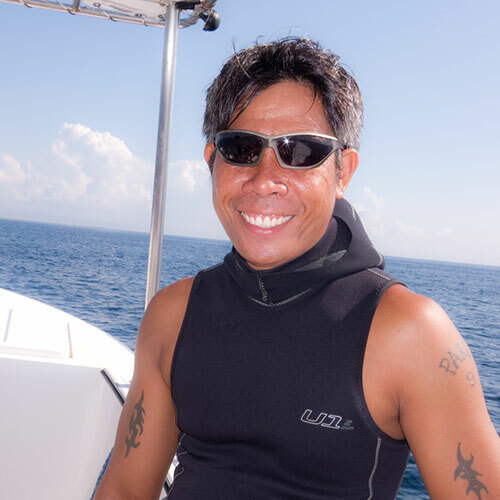 He learned to dive whilst living and working out of Hong Kong, and turned professional, as a Divemaster in 1991 and then a PADI Instructor in 1992. 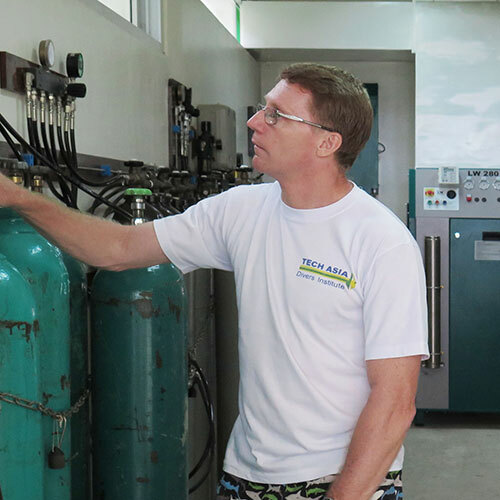 When IANTD came to the Philippines in ’95 he was among the first group of Instructors certified, and currently holds the ratings of IANTD Trimix Instructor, plus Normoxic Trimix and Gas Blending Instructor Trainer. A lot of Dave’s current effort is in the area of dive trip organization and trying to find new and interesting opportunities for our divers to enjoy. Pete was born in the north of England. 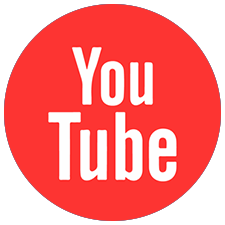 A Mechanical Engineer by trade, he has tried his hand at a wide variety of jobs including Market Trading and Plant Operating. He worked in South Africa and Hong Kong before arriving in the Philippines in 1995. Pete arrived as many do, in Puerto Galera and the Philippines, on holiday and just hasn’t left. 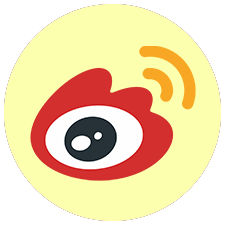 He has a wife, son and daughter here. 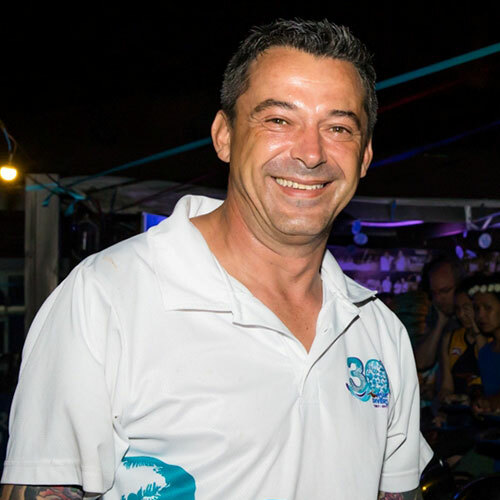 Another Brit, originally from Brighton, Sam began diving at Asia Divers in 1994. 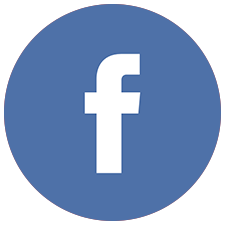 He was at that time living in Sydney and owned a very successful Stone Masonry and Restoration business, which he ultimately sold and moved to full time diving as a career. 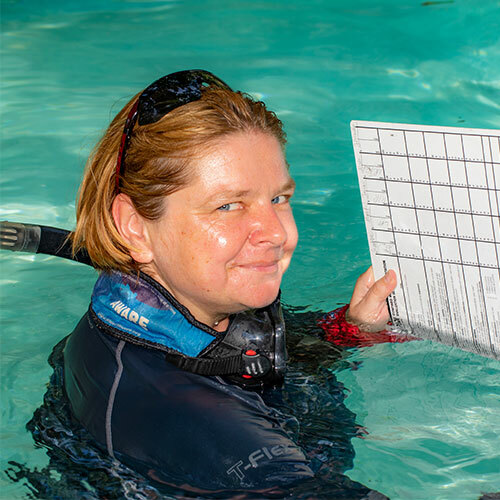 Sam is an IANTD Instructor Trainer to the levels of full Trimix, Technical Wreck and Gas Blending, and also teaches DPV, Essentials courses, Rebreather, and all of the PADI/DSAT levels to Tec Trimix. 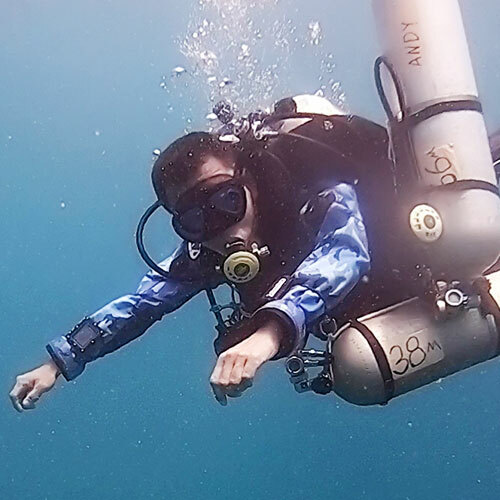 Sam’s instructional and supervisory skill, patience, and attention to individual’s diver’s particular needs and abilities have made him a tremendously popular and highly respected member of the Tech Asia team, and in the field of Asian technical diving generally. 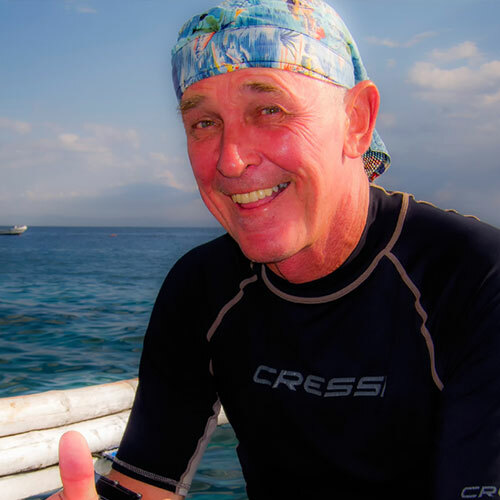 Sam also involves himself actively in dive travel, having put together excursions all over the Philippines, and from Micronesia, South China Sea, Java Sea, Sri Lanka and to the Burma Banks. Kjell was born in Sweden. He found it far too cold in Sweden so he retired from his work as a municipal commissioner and moved to Philippines 2004. 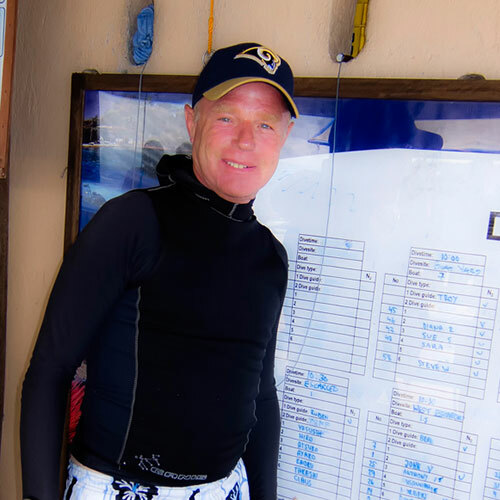 Kjell is married to Rhuby, our Resort Manager and became a dive instructor 2006. Kjell looks after the dive schedule and boat allocations and is usually found with a marker in his hand. When he is not at the board, you can find him in the Point Bar together with the other instructors. Kjell is a great addition to our team in many ways including being able to teach courses in Swedish. Born in Scotland but raised in the Solomon Islands. 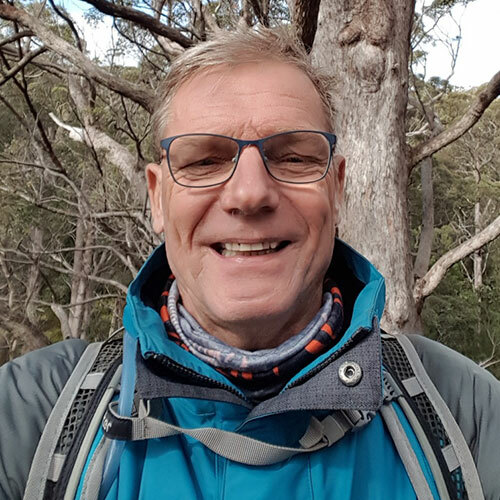 Jamie has nearly 30 years experience in the hospitality industry working throughout Australia, New Zealand and Papua New Guinea, as a chef with a love for warm climates and the water. 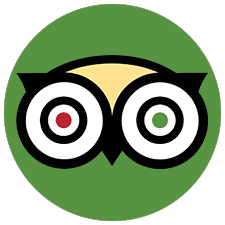 Since joining the EG team Jamie completed his PADI instructor rating, and enjoys cooking and dive guiding. 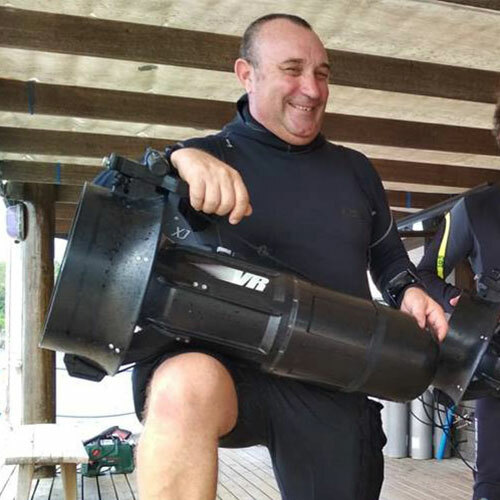 Ruben has worked for Asia Divers since 1998 carrying tanks, assisting in the shop, driving boats and fixing regulators. He worked his way up through the ranks to become a PADI Instructor. 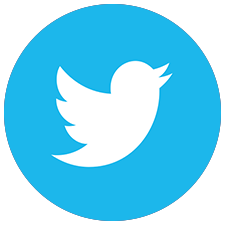 Ruben is a valuable member of our team and is very experienced in the local area. He is a great spotter for all you photographers out there. Ruben is from here, married with two daughters. Eleanor was in Marketing & PR in cosmetics industry for 10 years in Hong Kong. She quit her job and moved to Puerto Galera in 2016 September. 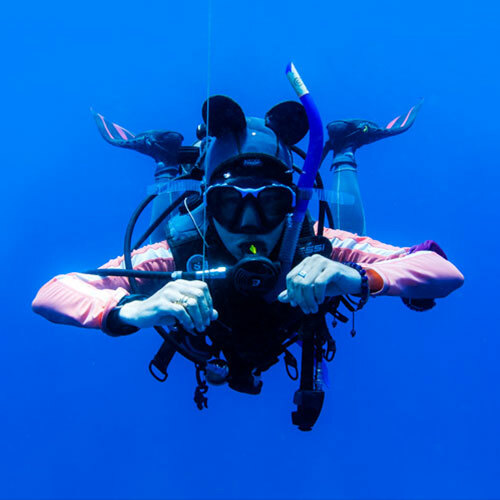 Eleanor loves diving and taking pictures – even on the ground or underwater. 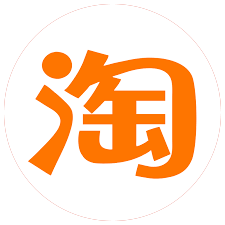 She is a Chinese Instructor at Asia Divers and can teach in Mandarin, Cantonese and English. 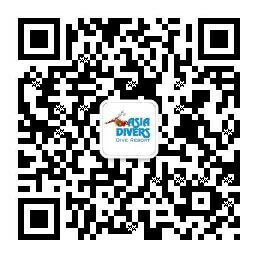 Andy teaches courses in Mandarin and has been been working for Asia Divers for several years now. Besides diving, Andy also loves hiking and photography. He is also a marine environmentalist. 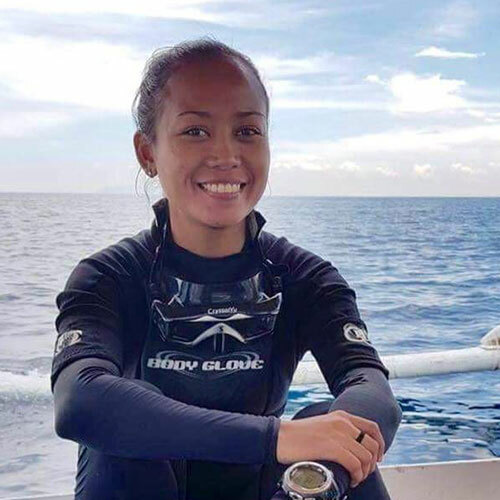 Maria is our newest instructor here, having just done her IDC in May 2018 right here at Asia Divers. She’s from From Pasig City Manila and like so many of us, she quit her office job to live life. Maria started traveling around Philippines, learned surfing, but fell in love most with scuba diving in 2015. She loves all kinds of diving but macro is her favorite and she is a great critter spotter.